We already knew we’d be confronted with some controversial feedback when we announced the winners of the Pet Shop Boys’ Berlin concert ticket competition, but the final feedback went a bit too much through the roof. While we at Electronic Beats understand the fans’ disappointment and apologize for not having mentioned the total ticket number to be given away in the beginning, we like to give fans the possibility to still make it to the show (a portion of luck’s still need though). 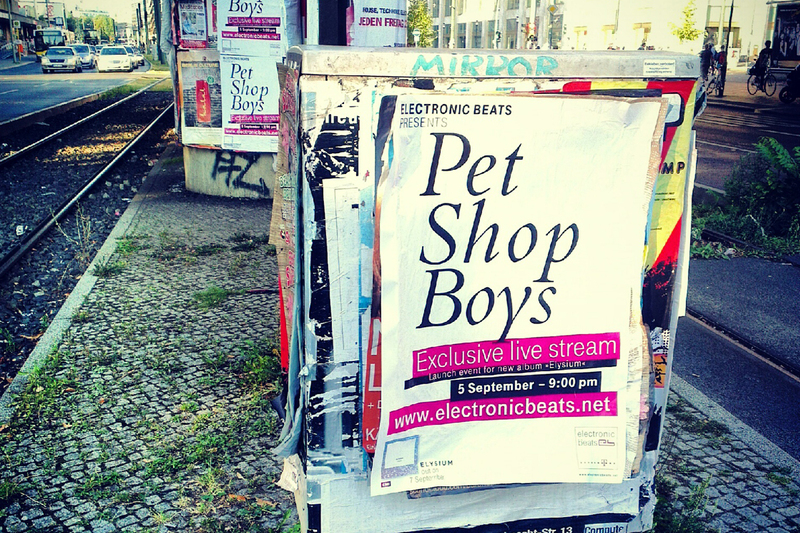 Please find below a list of publications and websites that offer ticket competitions for Pet Shop Boys’ Elysium launch concert in Berlin on 5 September, 2012 — tickets that were not included within our ticket share. We’ll update the list as soon as we have more information, so it’d be worth to check back later. All links will lead you to the individual competition pages, and we’ve added extra information on how to quickly enter the competitions. Please note that Electronic Beats is not involved in the execution of these raffles and that we have zero influence on the final outcome. Reminder: the full 30 minute concert will be broadcasted via live video stream on 5 September, 2012. Also, you can sign up for guest list for the concert stream’s live screening & after-show party at Horst Krzbrg over here.